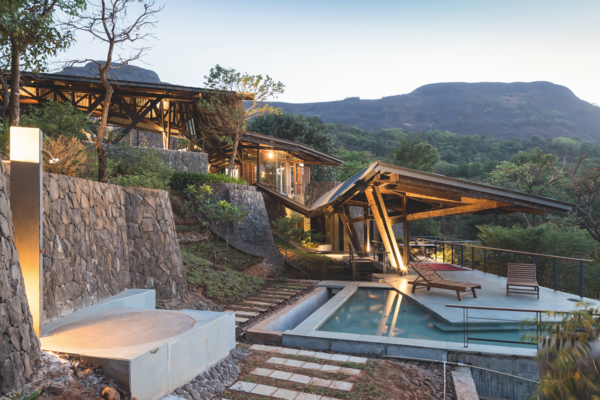 Father-and-son duo Kamal and Arjun Malik weave House of Three Streams, a 12,000-square-foot weekend home for their families, into its natural environment. Lonavala is a town in the district of Pune in Western India, located 93 km from Mumbai. The area has a number of fortifications, such as the nearby Tung (c.1600) and Lohagad forts. 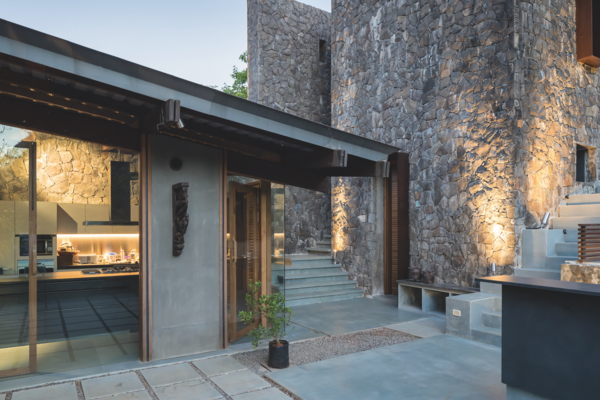 The architects state: “The topography of the land, the material memory of the surrounding forts, the light of the forest, and the deep water discharging ravines have created a dominant palimpsest of contextual parameters onto which the house has been woven.” A large wall between two ravines evokes the contours and materials of local fortifications. 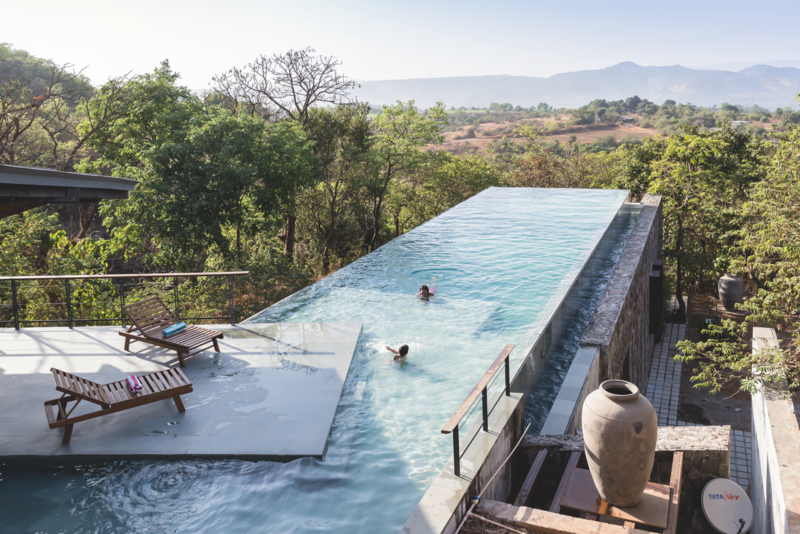 The house is carefully inserted into its hilly site, allowing for pavilions and covered spaces of different types, as well as the vanishing-edge swimming pool. 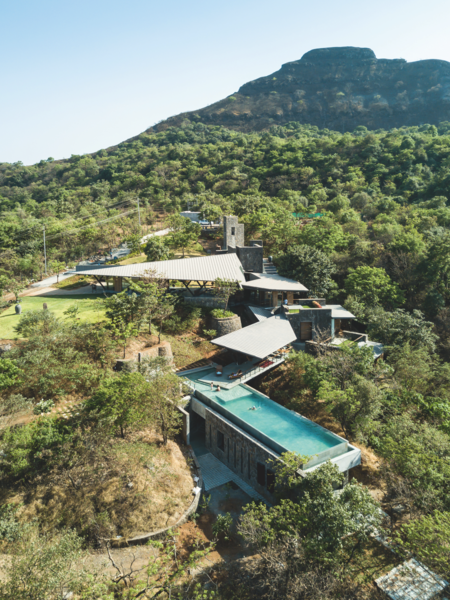 The spirit of the architects in this house for the Malik family is to inhabit the hilly site rather than try to impose their forms on the natural movement of the land.